Happy Wednesday, everyone! Halfway through the work week and I am feeling really good about it. The weather has been amazing so I’ve been taking coffee breaks during work just to soak it all in and enjoy the nicer weather. 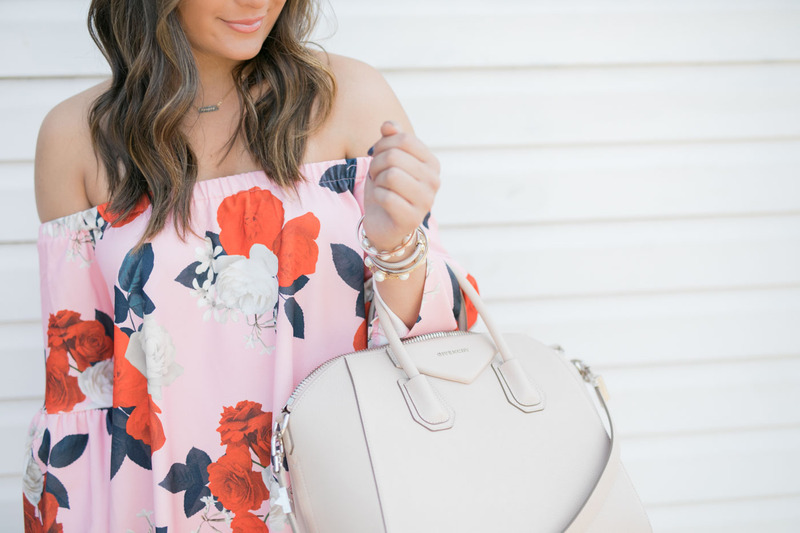 I wanted to share this gorgeous off the shoulder floral dress with you because 1. pink is in for fall and 2. 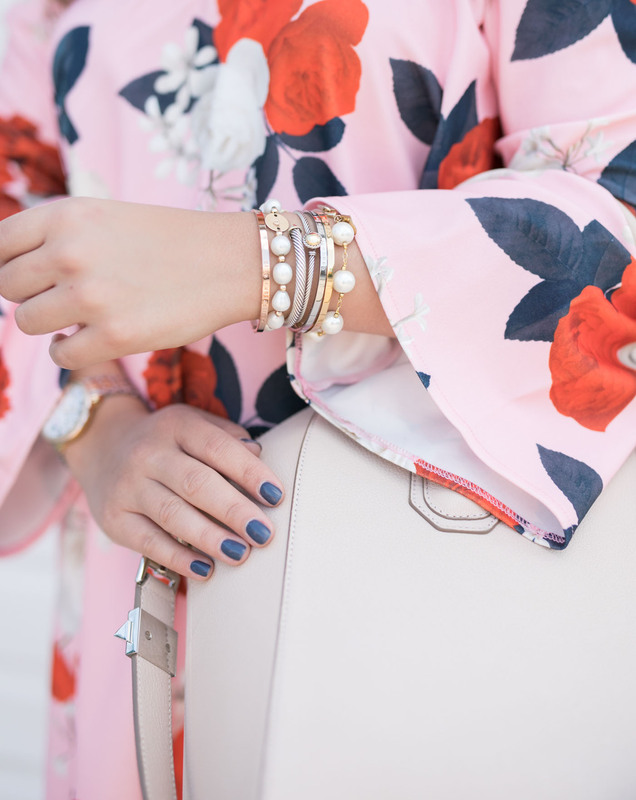 I love florals. I think it’s such a great transition piece, as you can wear it with suede shoes or booties to really allow it to seamlessly take you from summer to fall. Not only is it extremely comfortable, but the small details (like the gorgeous bell sleeves, for example), really make it a showstopper. I have an event for work tomorrow and plan to wear it, since it’s so comfortable and easy to walk around in. When I heard that pink was in for fall, I was ecstatic. Now, yes. It’s really hot pink that’s in for fall. But I also feel like this dress has hints of hot pink…right? I’ll just keep telling myself that. I’m usually always wearing neutrals but I thought this was something a little more similar to what I used to wear when I started blogging – you know, when I wore more color. So I knew I just had to have it. Plus, the price point is just right for this gorgeous floral number. On another note, I finally feel like we are making progress with my hair growth! Slowly but surely, my hair is starting to grow and I’m beginning to feel like myself again. Of course, I have many inches to go but it’s moving in the right direction (literally and figuratively). This dress is so pretty!! Love the print!! Ugh I’m growing out my hair too and it’s the worst!!! I’m at the weird, flipping out, in between stage. This dress is gorgeous!! and I seriously NEED that bag! I love the colors in this dress! Looks so cute on you! Your hair really is getting longer!! I’m loving the color you have now! That floral print is gorgeous! And I love your arm stack! I love this look! So beautiful, that floral is stunning on you! This dress is gorgeous on you! I love all of the colors!